Worcester State University and the Worcester Center for Crafts celebrated generous donations from the Fletcher Foundation and the Stoddard Charitable Trust at a ribbon-cutting ceremony on January 28. Investments by Worcester State University, combined with the private funding, financed the half-million-dollar renovation of the Worcester Center for Crafts ceramics studio, which included the purchase of new kilns, new ventilation systems and workflow improvements to aid the students, faculty and artists who use the studio. Worcester State University President Barry Maloney noted that in 2009, the two organizations opted to support each other, as the Worcester Center for Crafts faced the prospect of closing, while the University needed studio classrooms for its Visual and Performing Arts Department. 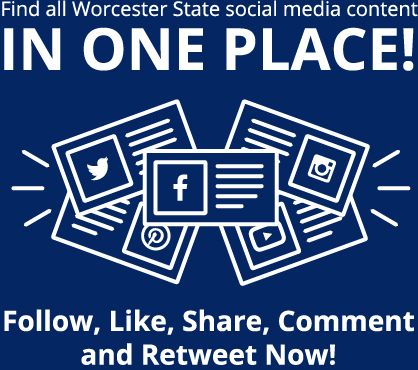 “Working with our Worcester State Foundation, we saw an opportunity to protect a community asset, and we took it,” he said. Maloney noted that the University hired Hess as the executive director a year and a half ago, which is helping the Center meet its objective to serve as a community resource. 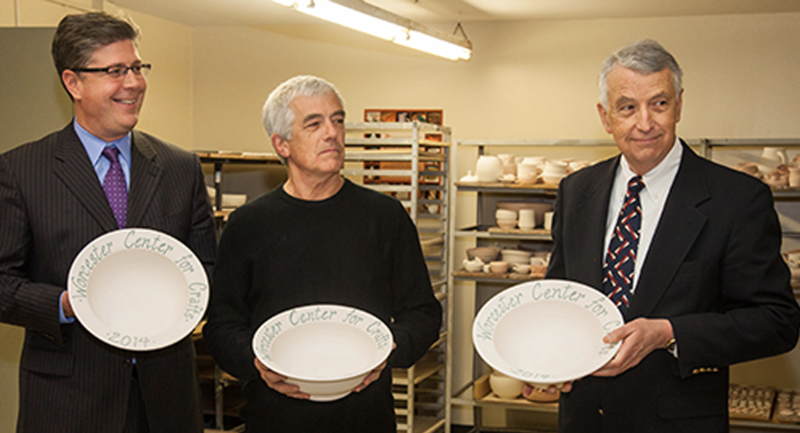 “This partnership between Worcester State University and the Worcester Center for Crafts is one example of how Worcester gets it,” said Stoddard Charitable Trust Chairman Warner Fletcher. The renovation was made possible by a $250,000 capital gift from Worcester State University, $150,000 grant from the Stoddard Charitable Trust and $100,000 pledge from the Fletcher Foundation. The investments created a 21st-century studio that is safer, more efficient and will last for decades, according to Hess. Infrastructure upgrades improve workflow and work spaces, as well as ventilation and safety systems in the studio. New kilns have replaced three 30-year-old kilns that were at the end of their useable life and will ensure that firings are more consistent. Ceramics is the Worcester Center for Crafts most significant education program. “The renovations will position the Center so that it can meet its goal to be a viable community resource for craft,” Hess said. The Worcester Center for Crafts is New England’s leading craft education center that offers creative classes in ceramics, enameling, jewelry, ironwork, blown glass, flamework, photography and more to the greater Worcester community. Our Krikorian Gallery, Gallery Store and events showcase the exceptional creativity of locally, regionally and nationally known artists. We are home to Worcester State University’s Department of Visual and Performing Arts art studios through a partnership with the University and the Worcester State Foundation. Worcester State University is seeing a boost in applications this fall, in part because of a new early action process initiated this year. An increase of 42 percent in total applications for Fall 2014 first-time freshman and transfers was noted in mid-November, when compared to figures for the same date the previous year. The figure is about 12 percent more than University officials had . . .